Former Trump attorney Michael Cohen is urging people to vote against Republicans - and his former client - in the upcoming mid-term elections, telling CNN Friday in a brief man-on-the-street interview that it was the only way to stop the madness. "Grab your family, grab your friends, grab your neighbors, get to the polls," said Cohen. "If not, you're gonna have another two or another six years of this craziness." The message followed a viral tweet from Cohen earlier this week in which he called the upcoming elections "the most important vote in our lifetime." Earlier this year Cohen plead guilty to a series of crimes, including campaign finance violations, tax evasion and bank fraud. 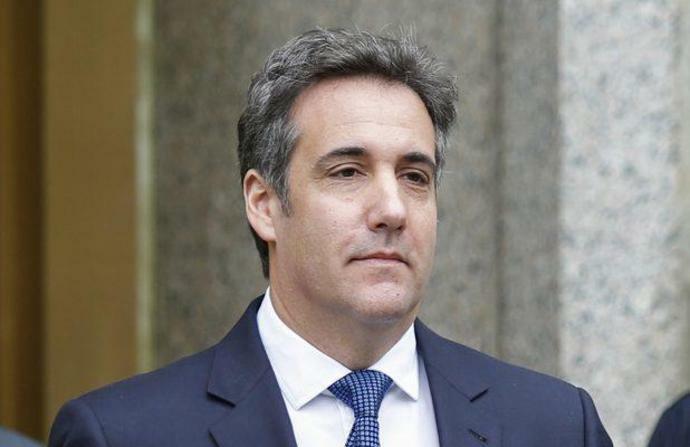 Facing the possibility of decades behind bars, Cohen began cooperating with federal investigators in Robert Mueller's probe of collusions between the Trump presidential campaign and the Russian government. Cohen suggested to CNN that he was done for good with Trump and the GOP, saying he had always been a lifelong Democrat and only changed parties at the request of the Republican National Committee. It's a dramatic turn of events for Cohen, who spent years as a close confidante of the real estate billionaire and once famously said he would take a bullet for Trump. As Trump's fixer, Cohen handled many of his most sensitive matters, including the payment to Stormy Daniels - who says she had an extramarital affair with Trump back in 2006. In an interview with ABC in July, Cohen said his family and country "came first." Trump has returned the favor, lacing into his former lawyer on Twitter, accusing him in a subtweet of turning on him to get out of unrelated legal trouble. On Thursday Trump severed his last reaming public tie to Cohen by unfollowing him on Twitter.